A two million year old piece of bone has just cracked one of the biggest questions in human evolution. 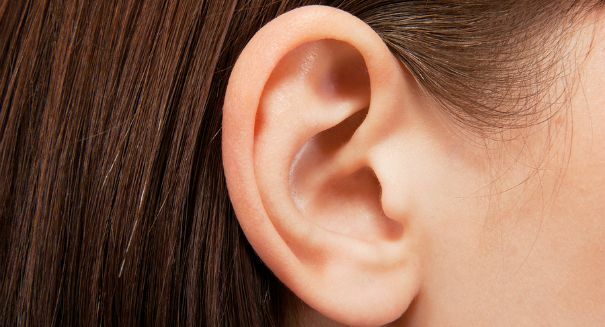 A new study has just cracked the code on how the hearing of humans evolved — and it’s all thanks to a piece of bone that is two million years old. This study has come to the surprising conclusion that early human species may have actually had better hearing than humans today, at least at certain frequencies, according to a Christian Science Monitor report. In fact, their hearing probably resembled that of chimpanzees more than humans today. This would have been able to pick out short range sounds more clearly and enable communication in an open fields environment, which was more important in our primitive hunter-gatherer stage of evolution. Researchers at Binghampton University in New York were studying skulls and ear bones from two species of ape, Australopithecus africanus and Paranthropus robustus, that were alive about 1 million to 3 million years ago, and compared them to modern humans and chimpanzees to see how the hearing abilities compared. The researchers reconstructed the internal anatomy of two ancient human ears using computerized tomography scans, as well as virtual computer reconstructions. To do this, they used available fossils to create a computer model. Using this information, they input some anatomical measurements into the model to determine what their hearing abilities probably would have been. There aren’t many fossilized skulls with intact inner ear bones, so the scientists didn’t have a lot to work with. They used mostly ancient humans that were native to South Africa for the study. The findings ended up being very interesting: early hominins showed a hearing sensitivity range that was comparable to chimps, although it was already starting to shift toward what we see today in modern humans, meaning that their hearing was even better than that of chimps. More specifically, the hearly hominin had a heightened sensitivity to frequencies that are between 1.5 and 3.5 kHz, as well as an occupied band of maximum sensitivity toward higher frequencies, according to the study as reported by the Christian Science Monitor. So the hominins had a similar hearing pattern to chimps, but slightly different, with the difference going in the direction of humans. This shift would allow them to communicate in open environments, like ones that would be found in the African savanna. Other research on the teeth of prehistoric humans indicated they thrived in both the forests and the savanna, so this may make sense: the humans gradually shifted from the jungles to the open spaces, and for a while occupied both predominantly. The reason why the distinction is important is because in open environments, sound waves don’t travel as far as in the rainforest, so short-range communication is of far more benefit on the savanna. That doesn’t mean these humans could speak like we do now. They probably had no discernible language, although they perhaps could communicate vocally in the way primates do today. Human language, however, emerged long after these early humans. It’s not the first time this research team has examined hominin hearing. Previous studies looked at several fossil hominin individuals in the Pit of the Bones in northern Spain, which were individuals dated at about 430,000 years ago, according to a Live Science report. These hominins were thought to be the ancestors of Neanderthals, and therefore probably had hearing abilities that were more comparable to modern humans. Still, some cautioned that the scientists may have made too many assumptions about the ears of hominins, and that the results, while interesting, should be taken with a grain of salt.